Today is National Read a Book Day! Have you been wanting to join a book club or wishing someone would curate a list of “must reads” for you? 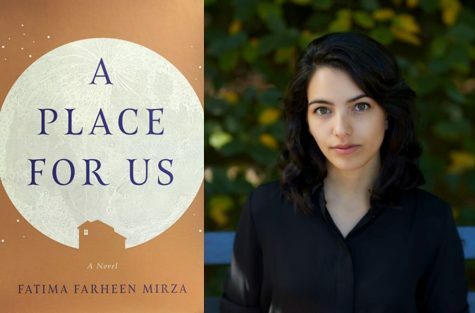 This month the DMA’s acclaimed literary series, Arts & Letters Live, kicks off a new initiative intended to build community through conversation, offering you another opportunity to take a deeper dive into books featured in the series. A Moveable Feast Book Club will feature four books over the next three months, allowing you to select any (or all) you would like to attend. We hope that by reading and sharing insights together a week or so before hearing the author speak, your experience will be richer and even more meaningful. Book Club events will take place in the DMA’s Founders Room, where participants can enjoy lunch while engaging in conversation with fellow bibliophiles. 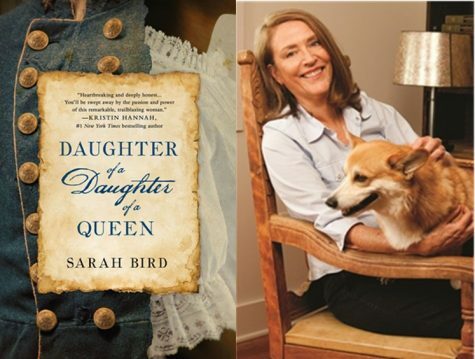 The series kicks off on September 13 with Dr. Jaina Sanga, author and fellow of the Dallas Institute of Humanities and Culture, leading a conversation about Texas Literary Hall of Fame author Sarah Bird’s tenth novel. Daughter of a Daughter of a Queen is a historical novel depicting the story of slave-turned-soldier Cathy Williams, who disguised herself as a man and fought in the Civil War with the legendary Buffalo Soldiers. 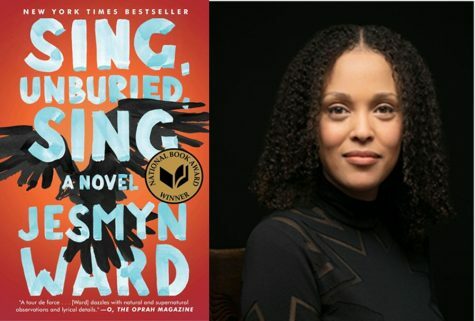 On October 9, Dr. Jaina Sanga will lead a discussion of MacArthur “Genius” grant winner Jesmyn Ward’s Sing, Unburied, Sing,a road novel through Mississippi’s past and present that explores the bonds of a family tested by racism and poverty. Ward became the first woman and the first person of color to win two National Book Awards for Fiction, joining the ranks of William Faulkner, Saul Bellow, John Cheever, Philip Roth, and John Updike. The final gathering, on November 20, will feature a discussion of Jill Lepore’s These Truths: A History of the United States, moderated by Dr. Andrew R. Graybill, professor and chair in the department of history at Southern Methodist University, and co-director of the William P. Clements Center for Southwest Studies. 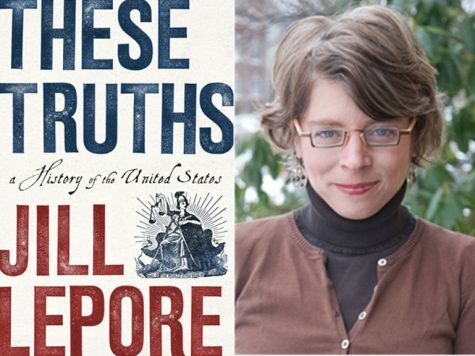 History buffs will have an opportunity to dissect award-winning historian and New Yorker writer Jill Lepore’s magisterial account of the origins and rise of a divided nation, and the beauty and tragedy of American history. Michelle Witcher is the Program Manager for Arts & Letters Live at the DMA. Our literary and performing arts series Arts & Letters Live just announced the 2017 lineup of award-winning authors and performers, and we are just overflowing with excitement! Arts & Letters is the only literary series that is part of an art museum (that we know of! ), and we love celebrating the connections between reading, writing, and art! Every year we host some wonderful children’s authors, and this year is no different. Get cozy with these books while the weather is still chilly, then come see us at the DMA to make some artful literary connections with the whole family! Sunday, February 26, 3:00 p.m.
Adam Gidwitz is the New York Times bestselling author of the Grimm trilogy. He spent six years researching his latest book, The Inquisitor’s Tale: Or, the Three Magical Children and Their Holy Dog, in which the adventures of three children take them through medieval France to escape prejudice and persecution. They save sacred texts from being burned, get taken captive by knights, face a farting dragon, and face a final showdown at Mont Saint-Michel. Learn more. Before the talk, your family can embark on a scavenger hunt exploring works of art in Art and Nature in the Middle Ages. Tuesday, April 4, 11:30 a.m.
Erin and Philip Stead live and work side by side creating heartwarming stories such as A Sick Day for Amos McGee, winner of the 2011 Caldecott Medal. Erin’s forthcoming book Tony returns to themes of friendship and loyalty with the late poet Ed Galing’s tale of a boy and his horse. Philip’s latest, Samson in the Snow, highlights the power of simple acts of kindness to bring hope and light to even the coldest world. Learn more. Following their talk at 3:30 p.m., join us for an illustration workshop (ages 6 and older) led by Erin and Philip Stead. Advance reservations strongly recommended as space is limited. Saturday, June 10, 2:00 p.m.
New York Times bestselling author Kwame Alexander kicks off summer reading with his latest book, The Playbook: 52 Rules to Aim, Shoot, and Score in This Game Called Life. A strategy guide written with middle grade readers in mind but motivational for all ages, The Playbook “rules” contain wisdom from inspiring role models such as Nelson Mandela, Michelle Obama, Lebron James, and more. The author of 21 books, Alexander received the 2015 Newbery Medal and the Coretta Scott King Author Award Honor for his book The Crossover. Learn more. See the entire lineup for the January-June season to see if your favorite author will be coming to town this year. Hope to see you there! On Tuesday, we celebrated Amanda with a book-themed baby shower for her upcoming addition, Edie. Being the artistic bunch we are, the creativity abounded with children’s book inspired bites (green eggs and ham quiche, anyone? ), Westie George bookplates (great work Emily! ), and other book-centric decor. Our very talented Jennifer even created a DIY alphabet book for attendees to illustrate! Check out our pics and this post to find inspiration for your own artful book-themed gathering! Earlier this week, we had some very special guests visit the Museum! Drew Daywalt, author of the book The Day the Crayons Quit and The Day the Crayons Came Home, will be coming to the Museum on May 22 for some family fun as part of the Arts & Letters Live BooksmART lecture series. We were able to snap some behind-the-scenes pics as Orange Crayon and Purple Crayon scouted out the galleries, and we even caught a glimpse of some of their top secret correspondence. If you haven’t already, get your tickets to see Drew in person and hear more about these crazy crayons and their colorful adventures! Maurice de Vlaminck, Bougival, c. 1905, Dallas Museum of Art, The Wendy and Emery Reves Collection. Martha E. Keech, Baltimor, Maryland, “Album” quilt, c. 1861, Dallas Museum of Art, anonymous centennial gift. Claude Monet, Water Lilies, 1908, Dallas Museum of Art, gift of the Meadows Foundation, Incorporated. Egungun costume, Republic of Benin: Yoruba peoples, Late 20th century, Dallas Museum of Art, gift of Pace Primitive Gallery, New York. Buddha, Thailand: La-na, 15th century, Dallas Museum of Art, gift of David T. Owsley via the Alvin and Lucy Owsley Foundation. Oli Sihvonen, Matrix – Red, Gray II, 1967, Dallas Museum of Art, Dallas Art Association Purchase, © Oli Sihvonen / Licensed by VAGA, New York, NY. This year is the 25th anniversary of the DMA’s literary and performing arts series Arts & Letters Live! We’re celebrating this great achievement with a fantastic lineup of award-winning authors and performers, but some of the speakers I am most excited about are the children’s authors. Check out who will be included in our 2016 BooksmART series below! Chris Grabenstein is the author of the New York Times bestsellers The Island of Dr. Libris and Escape from Mr. Lemoncello’s Library. At this event he’ll share the highly anticipated sequel, Mr. Lemoncello’s Library Olympics. Something suspicious is going on…books are missing from Mr. Lemoncello’s library. Kids will have to band together to get to the bottom of the mystery. Sunday, January 31, 3:00 p.m.
Join Drew Daywalt to hear about The Day the Crayons Came Home, the hysterically colorful companion to the bestselling picture book, The Day the Crayons Quit! From Maroon, who was lost beneath the sofa cushions and then broken in two after Dad sat on him, to poor Turquoise, who is stuck to one of Duncan’s stinky socks after they both ended up in the dryer together, each and every crayon has a woeful tale to tell and a plea to be brought home to the crayon box. Sunday, May 22, 3:00 p.m. Kick off your family summer reading with National Book Award-winning author Sherman Alexie, who will talk about his first picture book, Thunder Boy Jr., which celebrates the special relationship between father and son. Thunder Boy Jr. is named after his dad, but just because people call his dad Big Thunder doesn’t mean he wants to be Little Thunder. But just when Thunder Boy Jr. thinks all hope is lost, he and his dad pick the perfect name, a name that is sure to light up the sky. Saturday, June 4, 11:30 a.m. Following the event at 2:30 p.m., join us for a teen writing workshop (ages 12-18) led by Sherman Alexie using works of art as inspiration. Advance reservations strongly recommended as space is limited. Get cozy with these books while the weather is chilly, then come see us at the DMA to make some artful literary connections with the whole family! All kinds of good things are POPping up here at the DMA with the opening of the new exhibition International Pop. The Barrel Vault is filled with bright colors, oversized paintings, familiar faces, and works of art that will make you smile. Why not hop on Pop at home too? I’ve rounded up some of my favorite children’s books to introduce our youngest visitors to the art and artists who POP! 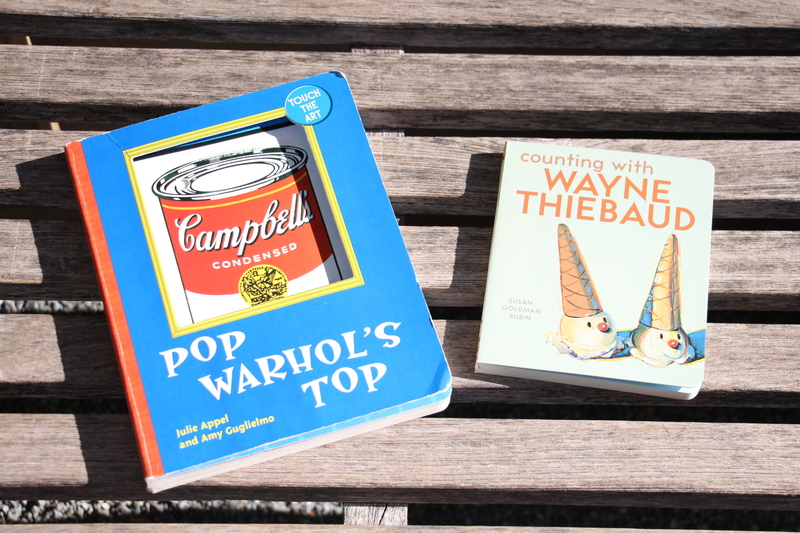 Two beautiful and fun concept books perfect for the toddler crew are Pop Warhol’s Top by Julie Appel and Amy Guglielmo and Counting with Wayne Thiebaud by Susan Goldman Rubin. 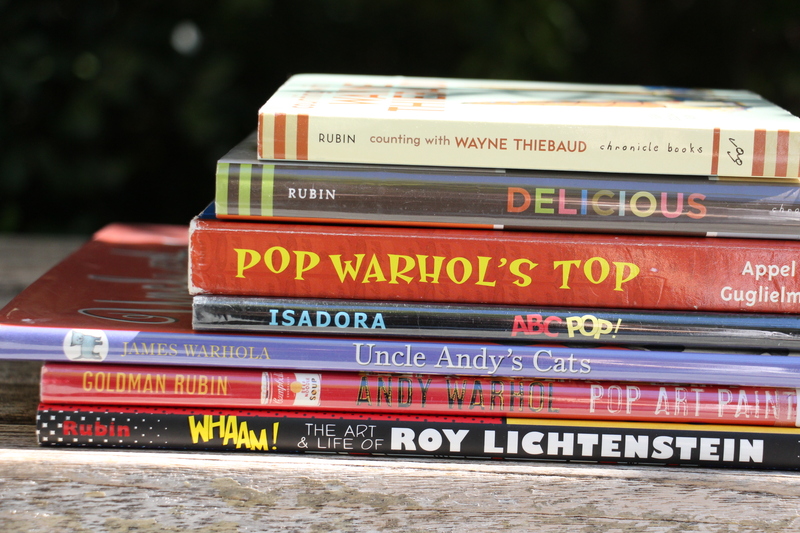 Pop Warhol’s Top mixes together the best of touch & feel books with works by famous Pop artists. Tots can pretend to pull the lettuce off a Claes Oldenburg soft sculpture, touch the eyelashes on one of Andy Warhol’s famous Marilyn Monroe pieces, or tap the beat for an exuberant Keith Haring painting. Rubin’s Counting with Wayne Thiebaud will have little ones asking for “more, please!” as they use Thibeaud’s luscious dessert paintings to count from one to ten. 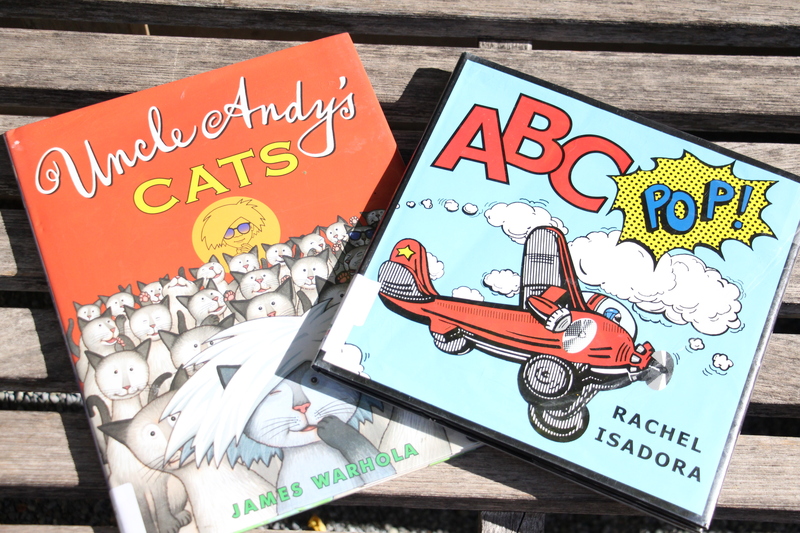 Pre-readers will POP till they drop as they work their way through the alphabet in Rachel Isadora’s ABC POP! Isadora takes inspiration from Pop artists to depict everyday objects in a Pop art sensibility. A is for airplane and Z is for zoom, and everything in between is illustrated with comic strip word bubbles, close-ups, boldly drawn lines, and lots of dots. Uncle Andy’s Cats by James Warhola introduces emerging readers to Andy Warhol through the eyes of his nephew James and tells the true story of the 20+ kittens Warhol had running through his New York townhouse, all with the name of Sam! Children will love trying to find all the kittens on each page, and also see glimpses of some of Warhol’s most famous works tucked away in the illustrations. 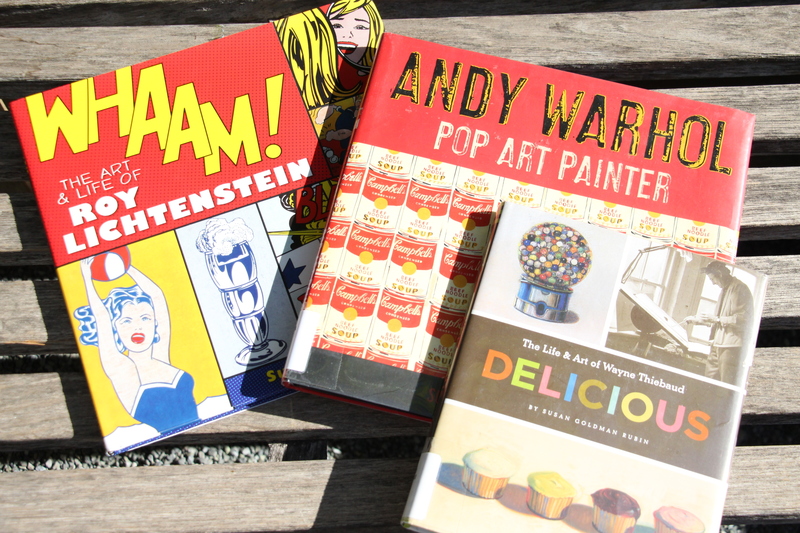 Susan Goldman Rubin highlights some of the most famous American Pop artists–Roy Lichtenstein, Andy Warhol, and Wayne Thiebaud–in three beautifully illustrated biographies for young readers. Wham! : The Art & Life of Roy Lichtenstein introduces readers to Roy as a boy who loved to draw and invent machines who grew up to be an artist that found inspiration in comic books. Andy Warhol: Pop Art Painter traces Andy’s journey from a commercial artist to a world-wide sensation who made his name by painting one of his favorite meals as a child–soup! Delicious: The Art & Life of Wayne Thiebaud weaves together the artist’s memories from childhood and mouth-watering reproductions of Thiebaud’s dessert paintings to create a balanced view of the artist’s varied career. All three volumes give readers a peek “behind the canvas” to gain a better understanding of these men as real people. After you’ve made your way through these POPular books, we hope you’ll POP in and see the International Pop exhibit for yourself! On September 13, we have a super exciting Arts & Letters Live BooksmART event, our series that brings children’s authors to the DMA! R. L. Stine and Marc Brown will be at the Museum discussing their new picture book, The Little Shop of Monsters. The two renowned children’s book icons have crafted a tale that is bound to make you quake and shake… in fits of fear and laughter! With a narrative voice reminiscent of The Monster at the End of this Book, but with Stine’s signature spooky charm and Brown’s wildly imaginative illustrations, this is sure to be a new Halloween favorite. The presentation begins at 4:00 p.m., but you’ll want to get here early to enjoy a family-friendly tour of the creepy creatures in the DMA’s collection at 3:00 p.m.
Purchase your tickets online and start celebrating the Halloween season early with us next week!